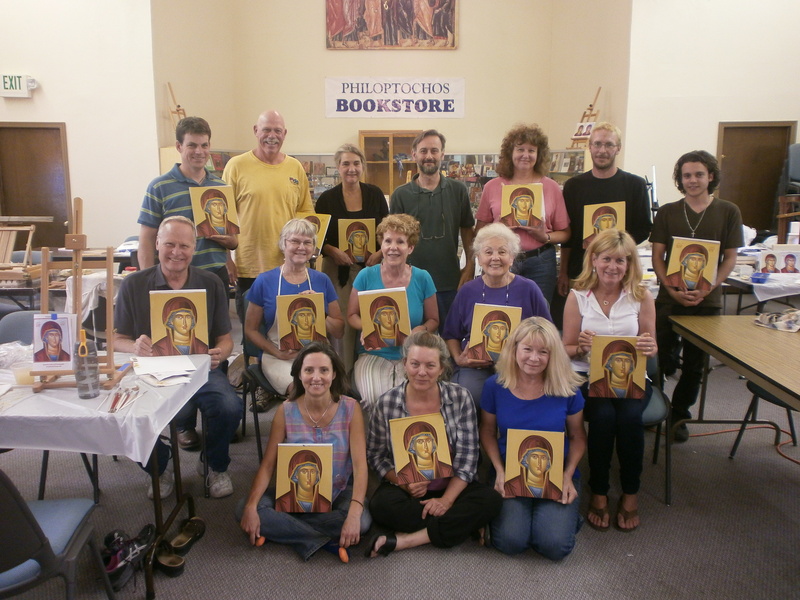 In August I had the opportunity to take an excellent workshop on Byzantine Iconography. 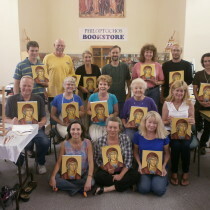 The workshop was taught by Theodoros Papodopoulos, a very skilled Iconographer from Greece. We spent 7 intensive days working on an image of Mary, Mother of God or “Theotokos”, using the traditional medium of egg tempera. This was followed by a 2 day workshop on Gold Water Guilding, a method of applying the gold leaf that results in a mirror-like finish. Both workshops were fascinating and I am excited to paint or “write” more icons. I would highly recommend Theodore’s workshops to anyone interested in learning the art of Iconography. His website is: www.theodoreicons.com. P.S. I hope to “unveil” the finished icon here soon!